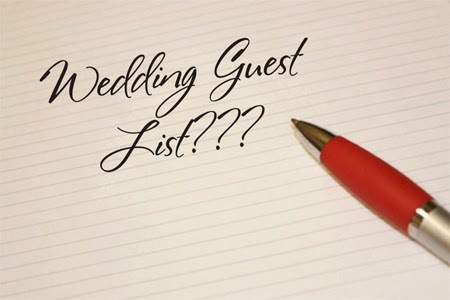 The Blog | Create Memories Wedding Planners: How Many Guests Will Come? Unfortunately not everyone on your guest list is going to make it. It is probably pretty rare that a 100% of your guests showed up, unless you have a guest list of like 20. There are ways to guestimate how many people are going to attend. If all your guests are local, the likelihood of guests showing up is about 85%, so pretty high. If most of your guests are out-of-towner's, and have the means to travel consider 85% of them will attend as well. But if your out-of-towner's are old friends from college or high school, assume about 40%. For most couples the average is about 50% in general. If you have a strict wedding venue with no room for overestimation you can try to narrow it down a little more. Once you figure out your decline rate add them together. So approximately 83 guests will attend.